– while you enjoy your coffee and put your feet up! A home is a personal space, area of relaxation or your hideaway. Either you are a stay-at-home parent, or a hardworking worker who is feeling that there are not enough time in a day, do not stress. Maideasy is here to save your day. We’ll clean your living room, kitchen, bedrooms and bathrooms – just the way you want it! Choose between one-time or weekly cleaning services – whatever works best for you! We’re passionate about the quality of our cleaning – if for any reason you are not satisfied with our service, just give our customer service a ring, anytime between 9am-5pm daily. Your house will look so spotless, you won’t recognise it! Here’s how it works — just go download our Maideasy app, enter your address and select the date and time. Our top-rated home cleaning services professional to help take the stress out of your life. We provide the most reliable cleaning service that poeple are talking about. We have cleaned over 70,000 houses in KL and Klang Valley, of various sizes and we manage thousands of houses every single month. Your house, your schedule. Our mission is to provide you with a cleaner, whenever you want it. Select the exact date and hours. You can make a booking 7 days a week, and choose any hours between 9AM to 8PM in the evening. We’ll be there! We interview, filter and train, every single one of our cleaning crew. A rigorous training process ensures that our crew knows what they are doing. They are fully trained on various equipments and technique to give your house the best treatment possible. 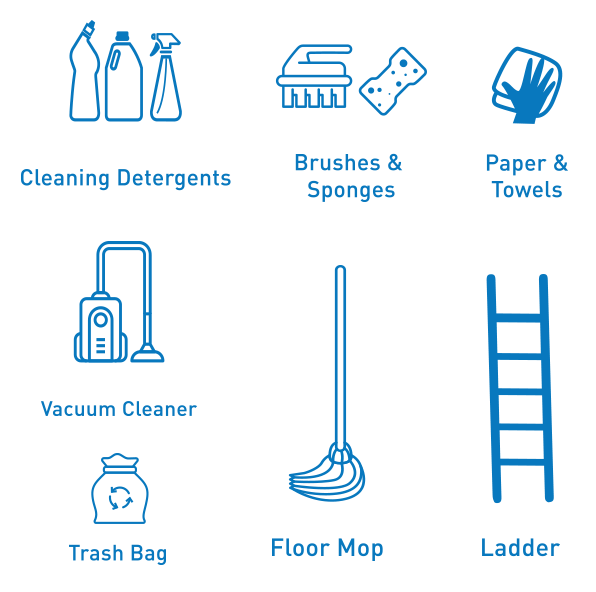 What is included in your basic cleaning package? Dust and wipe clean all surfaces – coffee table, cabinets. 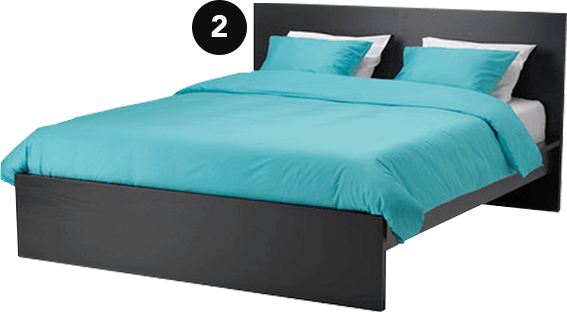 Change your bedsheet and make up your bed. Organise furniture, items and clothes. Dust and wipe clean all surfaces – cupboards and drawers. Wash your plates and kitchen utensils. 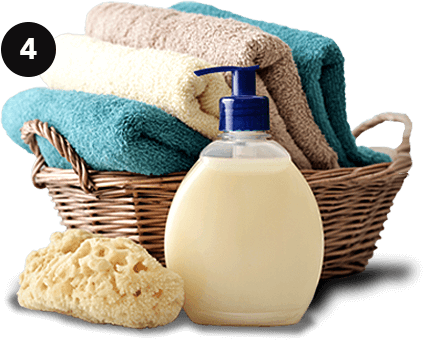 Wipe clean all surfaces – kitchen cupboards, sinks and countertops. Clean the outside of oven, microwave, and fridge. Wipe clean all surfaces – counters and cabinets. Clean mirrors, bath, showers and shower doors. Scrub bathroom sinks and toilet bowl. Mop floors and throw away rubbish. Choose a package that fits your needs! We’ll do all the tedious work while you sit back, relax and watch your mess get “unmessed. We promise you’ll be satisfied. It’s about time you give yourself a gift of time. This is the better deal! Do your cleaner bring any tools or cleaning materials? No. You are required to provide the cleaning tools and supplies. Please make sure you provide appropriate tools as recommended below. Without these items, the cleaner might not be able do their job properly. May I ask the cleaner to bring their own tools and cleaning materials? At the moment no. We will add this option from within the app soon. What if I’m not at home during the cleaning? In the event of the door is not opened or you cannot be reached after 45 minutes, your session is automatically cancelled without refund. How many cleaner will come to my house? Our cleaner comes either alone, or in a pair of 2 cleaners. If there are 2 cleaners that accept your request, the working hours will be halved. But since you are paying for working hours, the actual “man-hours” will remain as per your request. The advantage of 2 cleaners is that the requested job will be completed much faster, compared to when only one cleaner does the same amount of work. So, for a 4 hours booking with 2 cleaners, a session that starts at 9AM will be completed at 11AM, while a single cleaner will finish it at 1PM. From within the app, you may also specify a single or 2 cleaners team depending on your preference. Want to book a cleaner with Maideasy? Booking a cleaner couldn’t be easier. Book friendly, fully-vetted home cleaner in 60 seconds!